An amazing documentary by Sam Feder, a grad in Hunter College’s Integrated Media Arts MFA program (IMA) is making a final push to reach her Kickstarter campaign. This is an amazing project that should get all the support possible! 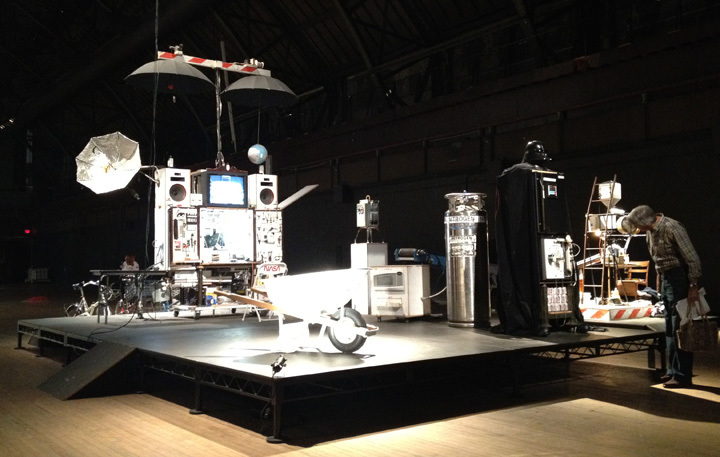 I had been so excited to see Tom Sachs’s “Space Program: MARS”, unfortunately it turned out to be a disappointment and a sharp reminder of how lame work that is executed to target the Art Market can be. I also made the mistake of taking my nearly four year old son, the kid was bored and I should have known better. I’m a big fan of Tom Sachs’s work, his amazing craft at assembling functioning sculptures out of materials never meant to be used in the forms that he does or as he calls it bricolage. I’m also well aware that the end product of his work is the art object and what interactivity is available in the work is meant exclusively for the artist and a few friends. However from MARS I hoped for something different, more spectacular and more available to a general public. 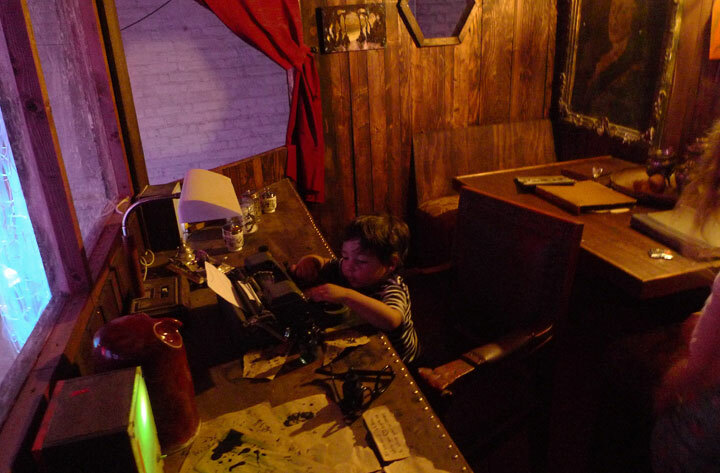 Ahead of the visit, I checked to see if the exhibition was kid friendly, according to the Armory site it was, so this fed my image of an immersive and interactive installation. Upon entering the space, I was not entirely surprised to find that the Armory overwhelms the work. The installation feels like museums pieces staged on platforms in a gigantic armory. I think that each element would have been amazing in a museum or gallery where the environment itself is at a much smaller scale. But in the armory, the pieces look like scattered work that do not come together as a whole. The installation is not interactive, in fact twice I was told to get off a platform when trying to get a closer look at the work (second photo below) and later told to take a notepad off a stool, because the stool was part of the art… And then there was the annoyance of Sachs’s assistants skating or bicycling around the armory and climbing into the sculptures which just made it all feel like a playground for the artist and his friends. 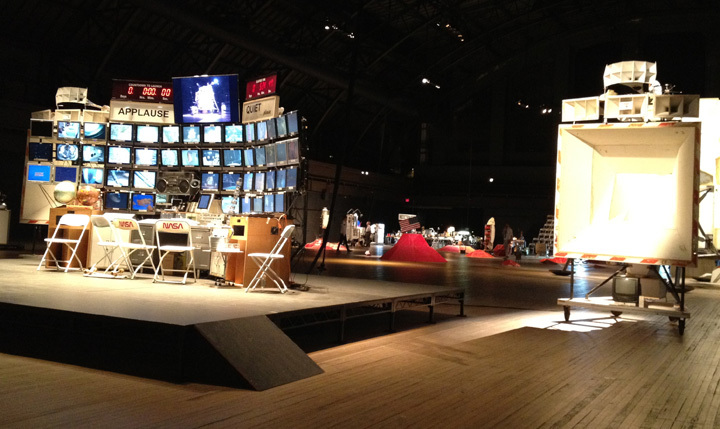 Part of the reason that I’m writing this is that visiting the Tom Sachs MARS show brought into focus the effect of work created for a market driven audience and the limitations of a space like the Armory on Park where Art is meant to be seen and not touched. Tom Sachs’s sculptures themselves reminded me of an exhibition that I saw last summer in the Santa Fe’s Center for Contemporary Art. 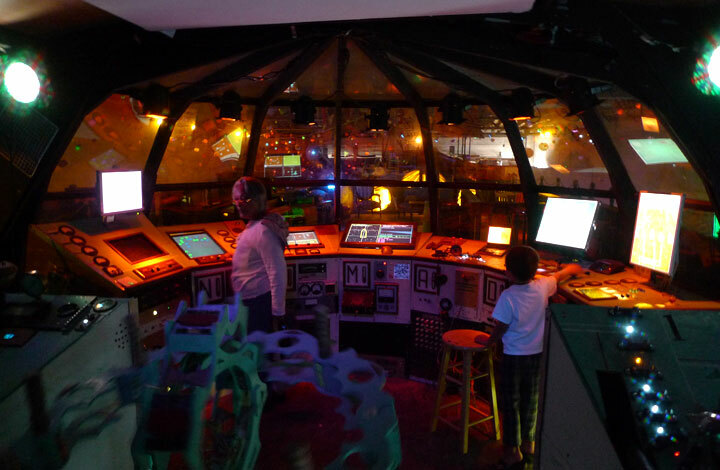 The exhibition titled The Due Return by a collective that goes by Meow Wolf, was entirely immersive, other worldly, engaging and fun. It didn’t carry any of the pretentions of the art world, it was a magnificent and sincere installation that still felt like fine art. 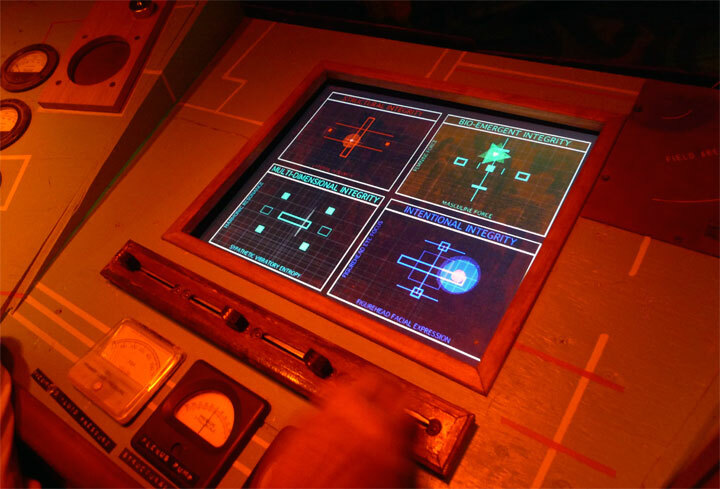 The Due Return presents a giant ship that sails through space and welcomed anyone of any age to traverse its various levels and rooms and discover countless interactive elements. I can’t imaging coming across an installation like The Due Return at an art establishment in New York City and it’s disappointing. Below is an image from a post featuring The Due Return. My son could not get enough of The Due Return and we visited multiple times during a residency in Santa Fe. 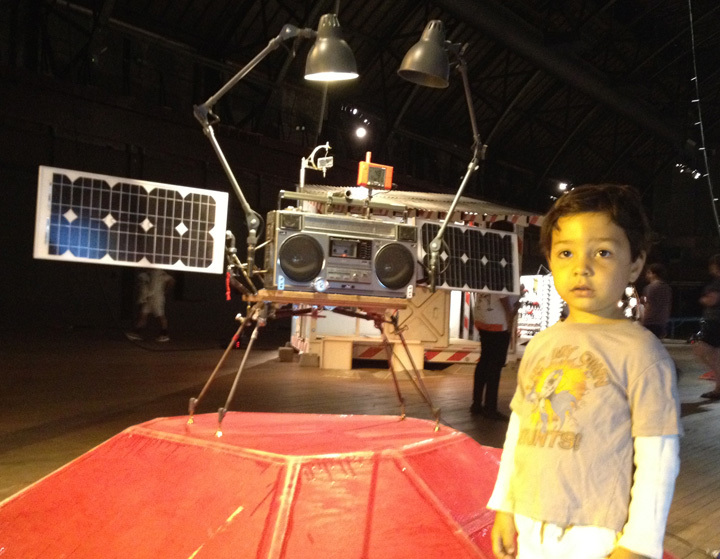 Whereas he was bored at Tom Sachs Space Program: MARS… I certainly understand that MARS was not designed to entertain young kids, but it should not be promoted as “an immersive space odyssey”… immersive for whom? In speaking with one of the store attendants (the exhibition has a store that features products in collaboration with Nike), the attendant told me that although the installation itself isn’t that exciting, the performances appeared to be something special. I did not attend any of the performances, however my recommendation is if you are going to see the show before it ends this week, do it on an evening of a performance, don’t go just for the exhibition. On May 31st, 2012, my three-year old son and I did our first collaborative animation. Iggy did the water and rocks and guy standing on the beach along with all other red and blue art work. I added the suit running on the water.